The rumor mill is flooded with reports about some of the most anticipated technology products. The three unannounced products that garnered most attention this week are Sony’s upcoming PlayStation 5 console, LG Electronics’s LG G7 ThinQ, and Samsung’s next-gen Galaxy Note 9 phablet. The PS5 is still some time away, while the Galaxy Note 9 would release in the second half of this year. LG has announced that it would unveil the G7 ThinQ on May 2nd in New York. A few days ago, SemiAccurate claimed that Sony had already shipped the PlayStation 5 developer kits to third-party game developers. The publication claimed the PlayStation 5 could be unveiled as early as this year. Folks at Kotaku reached out to sources familiar with Sony’s plans to confirm the report. They said the PS5 release was still at least a couple of years away. Sony’s next-gen console is expected to launch in 2020 at the earliest. The PS4 and PS4 Pro are still selling like hot cakes. It makes no sense for Sony to bring PlayStation 5 when the existing consoles are doing pretty well. However, sources told Kotaku that a surprise move by Microsoft or another competitor could force Sony to change its plans. Even Sony’s first-party gaming studios have not been briefed on the PS5 yet. IDC analyst Lewis Ward speculates that the PlayStation 5 would launch in 2021. 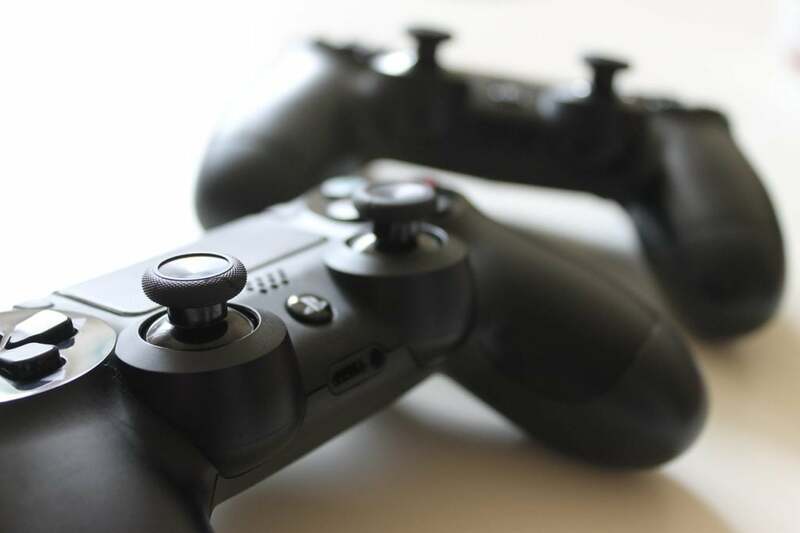 According to Wedbush Securities analyst Michael Pachter, the PlayStation 5 would be Sony’s “real 4K device.” SemiAccurate claims the console would feature AMD’s Navi-based GPU and octa-core Zen CPU. There have also been reports that the PS5 would support virtual reality. Sony already sells a console called PlayStation VR. The VR function in PS5 could be supported by a dedicated AMD VR processor. So far, virtual reality has failed to live up to the hype. It would be interesting to see how Sony implements the technology on its upcoming console, if at all. LG Electronics has announced that its upcoming phone would be called LG G7 ThinQ. The company would unveil the new device at the Metropolitan West in the New York City on May 2nd, and at I’PARK Mall in Seoul on May 3rd. There is a 13-hour time difference between Seoul and New York. So, there is good chance that the two events would take place simultaneously. The LG G7 ThinQ would have a bezel-less M+ LCD screen with an iPhone X-like notch at the top. Not everyone likes the notch, so the company would give users the option to black it out. It would have a dual camera system and a circular fingerprint reader on the back. Besides the power button and volume rockers, the G7 ThinQ would come with a new button to activate the AI features. It would be similar to Samsung’s Bixby button on the Galaxy S9 and S9 Plus. The LG G7 ThinQ would be available in Aurora Black, Moroccan Blue, Moroccan Blue (Matte), Platinum Gray, and Raspberry Rose color options. The availability of these colors would vary depending on the carrier and region. It would be powered by the Snapdragon 845 SoC and 6GB RAM. The phone would offer 64GB internal storage plus a microSD card slot for external memory expansion. The G7 ThinQ is also rumored to feature a Boombox Speaker to enhance the audio experience. The upcoming flagship would run LG’s custom UI on top of Android 8.1 Oreo. According to Android Headlines, the handset would boast of a far-field voice recognition technology that would allow it to hear your voice commands from a distance of up to 17 feet. In the camera department, it would feature a 16-megapixel standard lens and a 16-megapixel wide-angle lens on the back. LG would significantly upgrade the phone’s camera to enhance low-light photography. The camera will also be able to automatically identify the low-light environment and combine the small pixels to form a superpixel. Sources told Android Headlines that superpixels would help LG G7 ThinQ capture four times brighter photos and videos compared to LG G6. Other camera features include Live Photo, Portrait Mode, and 2D and 3D stickers. The LG G7 ThinQ would come loaded with tons of AI features such as AI Cam, Vision AI, Voice AI, Q Lens and others. The AI Cam can automatically identify the subject and the environment, and then adjust the color, saturation, and contrast of pictures. The Galaxy Note 9 will be Samsung’s second flagship smartphone of this year. Earlier this week, Twitter tipster Ice Universe reported that the Note 9 would pack a huge 4,000mAh or 3,850mAh battery. Past reports have pointed to a 3,850mAh battery pack. It would be much bigger than the Galaxy Note 8’s 3300mAh battery, allowing it to offer a longer battery life. Another Twitter user @MMDDJ_ reported that the Galaxy Note 9 would feature a giant 6.4-inch display, slightly bigger than the Note 8’s 6.3-inch. Korean site The Investor recently reported that the Galaxy Note 9 would sport an in-display fingerprint sensor. KGI Securities analyst Ming-Chi Kuo has claimed that Samsung would drop the feature from the Note 9 as it is still facing “technological difficulties” with implementation. But The Investor has learned from its sources that Samsung Display had developed 3-4 solutions to integrate the fingerprint reader under the display panel, and Samsung Electronics was seriously considering one of them for the Galaxy Note 9. 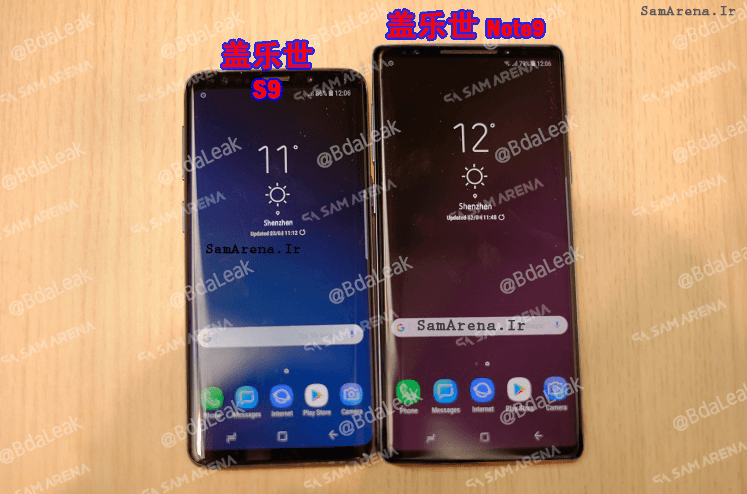 The Note 9 is expected to look similar to the Galaxy S9 Plus with a curved AMOLED Infinity display, a metal-and-glass design, and a physical Bixby button. DJ Koh, Samsung’s mobile business chief, told media earlier this year that the Galaxy Note 9 would launch with an upgraded Bixby 2.0 AI assistant. The phablet would retain the 3.5mm headphone jack. According to the rumor mill, the Galaxy Note 9 would be powered by the Snapdragon 845 processor and 6GB RAM. It would offer 64GB of base storage, and run Android Oreo with Samsung’s custom skin on top. A recent report claimed that Samsung could introduce the Galaxy Note 9 earlier than usual due to not-so-good sales of the Galaxy S9. Samsung traditionally refreshes the Note line in late August or early September. But the Note 9 could be unveiled in late July or early August.